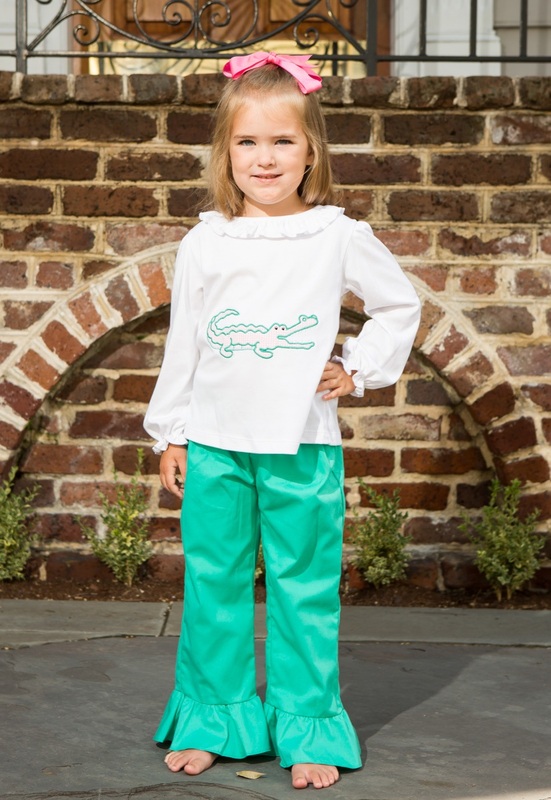 Grab our Pink Gator Pant Set at over 50% OFF! This adorable outfit is perfect for Fall and Winter! 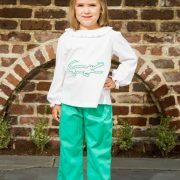 Green ruffle pants with an elastic waist and our popular knit ruffle shirt has a preppy pink applique alligator. This outfit was originally $52! Great outfit to mix and match with other tops or bottoms! Stock up on this beautiful outfit while they last! Limited quantity left so act fast! https://crescentmoonchildren.com/wp-content/uploads/Pink-Gator-Pant-Set.jpg 1200 826 admin http://crescentmoonchildren.com/wp-content/uploads/logo-cmc-340x156-trans-left.png admin2016-06-29 14:41:502016-06-28 14:42:05Daily Steal!